I've been looking at the Orion as well. Absolutely gorgeous piece that sits really well on my 6.75 inch wrist (the 35mm version). I'm leaning towards the Stowa due to the central seconds hand which I love and the arabic numerals. The slight added water resistance is a bonus for me too, day-to-day. I did have a stowa flieger which I sold as I felt the hands were too small for the dial, and really not that easy to tell apart in low light. I also felt that the 2804 was too small for the 40mm case. The marine 36 seems to tick all these boxes. I did have a stowa flieger which I sold as I felt the hands were too small for the dial, and really not that easy to tell apart in low light. That's one complaint about the Stowa Flieger that I've never heard. I'm not sure how you could make the minute and second hand any longer than they already are. And make the hour hand longer and you would make it even more difficult to distinguish the hour from the minute hands. So will the small seconds models be available near future? I photoshopped small seconds on the Marine 36mm and I think it looks pretty awesome. commanche and flaccidaardvark like this. Not with an ETA 6498 since the diameter is 36,6mm. Not sure a 7001 would be as desireable as a 6498. Looks great. I have owned the MO Roman and enjoyed in the past. 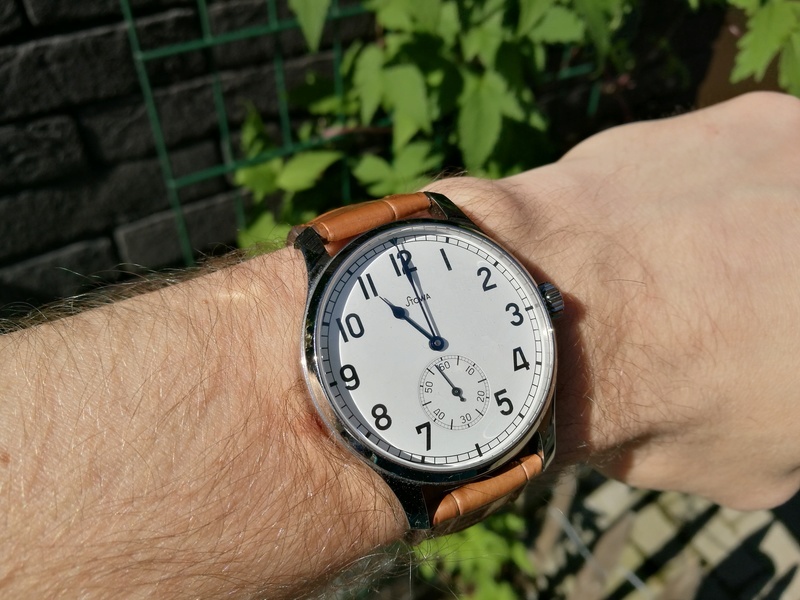 This smaller size is wonderful release from Stowa for the MO range. This requires the cost for a new dial design, while the 2804 works with the same dial like the 2824. I assume that the likelihood of a Marine 36 small seconds mostly depends on the sales numbers of the current Marine 36. That's my dream as well. However based on my studies, 7001 is too fragile and problematic, 6498 is too big, 2895 is automatic and proportion is off. There was a limited edition of 100 pieces with a 6425 (40mm though). It was supposed to be 200 but Stowa didn't receive all the movements. Well done, that looks amazing. I somehow found a sample design of Marine 36 small seconds from Korea Road show. The movement in the sample design looks exactly same with the movement of Antea ks so it looks like eta 7001. I don't know when it will be released but when I asked Stowa if they have any plan of Marin 36 small seconds model, they answered that they indeed have a plan but couldn't offer further information. Last edited by Bazanaa; 3 Weeks Ago at 07:34.